We all love our dogs, especially when they gaze up at us with their cute eyes. However, whenever you notice anything strange with your dog’s eyes, you have a reason to be concerned. One of the common things you might notice about your dog is cloudy eyes. To most dog owners, cloudy eyes usually mean that their dog has cataracts. Although cataracts are the first culprit for cloudy eyes, there are other causes. Although these other causes of cloudy eyes in dogs might be less common, they are greater cause for concern. Any change in your dog’s eyes should always be taken very seriously. This is because not only are your dog’s eyes the key to his soul, but they are also “windows” into your dog’s health. The appearance of your dog’s eyes can let you know your dog’s state of health. Many dog owners may think that cloudy eyes mean that their dogs have cataracts. However, sometimes the cloudy reflection in your dog’s eyes may be a sign of lenticular sclerosis. The lens of the eyes helps your dogs to see clearly and is located at the back of the eyes. Throughout your dog’s life, there will be new layers that will be added to the lens. This will result in a change in the structure of the lens as your dog ages. The pupils of your dog’s eyes will, therefore, appear cloudy or hazy as a result of the change in the structure of the lens on your dog’s eyes. This is why lenticular sclerosis may sometimes be mistaken for cataracts. Fortunately for your dog, lenticular sclerosis only occurs in older dogs. It also does not affect vision drastically, unless your dog is very old. Lack of depth and distance perception. In order to effectively diagnose lenticular sclerosis, a detailed eye examination should be conducted by your veterinarian. The vet should evaluate the structure of the eye in order to reveal whether your dog has cataracts or lenticular sclerosis. When it comes to the treatment of lenticular sclerosis, there is no medication for it. However, there is no pain involved when your dog is suffering from this condition. Once your dog has been diagnosed with lenticular sclerosis, your vet will advise you to make necessary changes to accommodate your dog’s special needs like assisting your dog to take the stairs. Dry eyes are also a condition that is usually accompanied by cloudy eyes. This condition is medically known as “Keratoconjunctivitis sicca” and is abbreviated as KCS. This condition results from the inability of the tear glands of the eyes to produce enough tear film. This will leave the eyes dry as they won’t be sufficiently lubricated. The eyes will, therefore, look cloudy. If this dry eye condition is left untreated, then it can result in blindness. It is also very painful as well. There are a number of causes of KCS. However, in most cases, there is usually an underlying autoimmune disease. In such a case, your dog’s eyes will have to be treated with medication. The treatment may last for as long as the rest of your dog’s life. ​Pannus can also be termed as chronic superficial keratitis. Just like KCS, it is also an immune-mediated condition. It is a condition that is common in German shepherds and other breeds that are close to it. It is a condition that affects the cornea of the eye. Cloudy eyes are one of the clinical signs of pannus. This cloudiness is usually caused by a non-painful elevated mass that may appear on the cornea. This condition may sometimes affect both eyes. Pannus is known to occur in older dogs. It is also thought to be a hereditary condition. Although it is known to be common in German shepherds, it can also affect any dog breed. Other factors that might make your dog to develop pannus are increased exposure to ultraviolet light. Smoke and high altitude may also contribute to your dog developing pannus. Treating pannus involves the use of topical corticosteroids. Other drugs that can modulate the immune system can also be used to treat this condition. In case pannus develops into a secondary condition, antibiotics may be used. 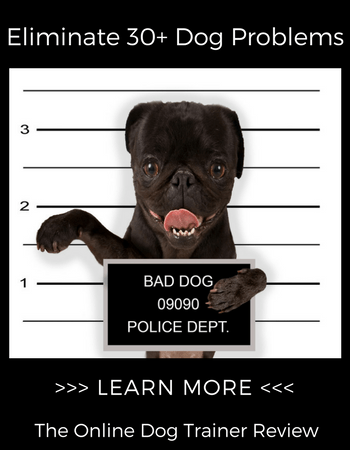 However, it is important to know that once your dog has developed this condition, then treatment will not cure it. Treatment will only prevent it from progressing and may also reverse some changes. The transparent membrane that makes up the front of the eyeball is the cornea. The cornea is made of three layers of highly specialized skin cells. A corneal ulcer occurs when this layer becomes eroded. As a result of the cornea getting eroded, fluid in the eyes will be absorbed into the stroma from the tears. This is what will make the eyes to appear cloudy. The main cause of corneal ulcer is blunt trauma. This may be as a result of your dog rubbing its eyes on the carpet or as a result of sharp objects coming into contact with the eyes. A corneal ulcer is diagnosed with the use of special stains that are known as fluorescein. This is because it is not easy to detect corneal ulcers without the use of special equipment. Corneal ulcers are usually very painful. You should take your dog for a medical checkup once you notice some cloudiness in his eyes. Treatment can be done by administering antibiotic drops. Glaucoma results from inadequate fluid drainage in the eyes. This poor drainage in the eyes is caused by pressure being placed in the eyes. Glaucoma may become chronic leading to permanent damage to the optic nerve if it is left untreated. This can lead to blindness. A cloudy appearance in the eyeballs. Fortunately, glaucoma is treatable. Once your dog has been diagnosed with glaucoma, your vet will prescribe drugs that will lower the pressure in your dog’s eyes. This term is one of those weird terms that are used by ophthalmologists that no one really understands. However, uveitis just means inflammation of the uveal tract. Uveitis can lead to the inflammation of the iris and the structures associated with it. Many signs and symptoms are associated with uveitis. These symptoms include redness of the eye and cloudiness of the eye. The eye can also become sensitive to light. A number of things can cause uveitis. However, most of the diseases that cause uveitis are usually infectious in nature. 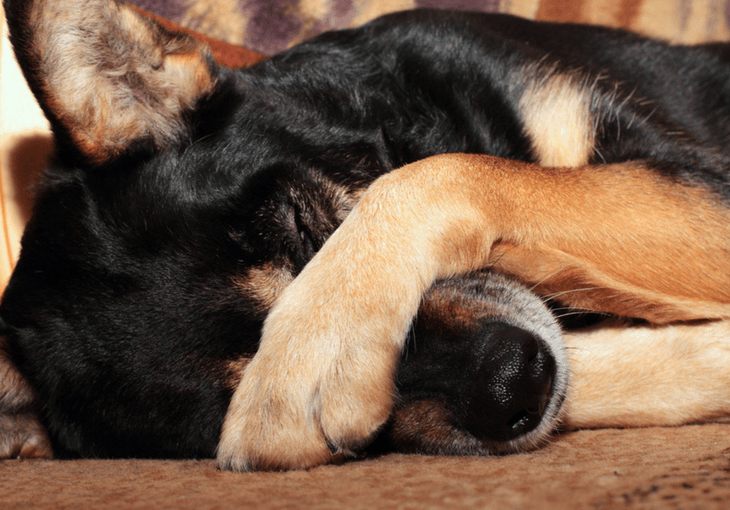 Cancer and other metabolic diseases are also among the causes of uveitis in dogs. The usual sign of uveitis is cloudiness in the eyes. Another sign of uveitis is an intense reddening of the eye that is usually accompanied by severe pain. Some of the signs and symptoms of uveitis are similar to those of glaucoma. When treating uveitis, treatment is always aimed at providing your dog with pain relief and reducing the inflammation in the eyes. Eye drops and ointments may be applied to the eye to reduce inflammation. Animals usually share their eye issues. However, you should never assume that you can share your eye drops with your dog. Avoid using any medication or method that you might use for your own eye issues. When you notice cloudiness in your dog’s eyes, you should just consult your veterinarian. Poor diet also cause some of these eye issues. You can also review your puppy’s diet to make the cloudiness in his eyes go away. This is because eye issues can be linked back to proper nutrition. Cloudiness in the eye can sometimes be as a result of trauma and nothing serious. Once you notice that your dog’s eyes are cloudy, you should give them a check at least twice a day for two days. If the cloudiness doesn’t go away by then, know that it is time to pay your vet a visit so that your dog can get medication. It is normal to get concerned when you notice anything strange with your dog’s eyes. People normally associate cloudy dog eyes with cataracts. However, this is not always the case. 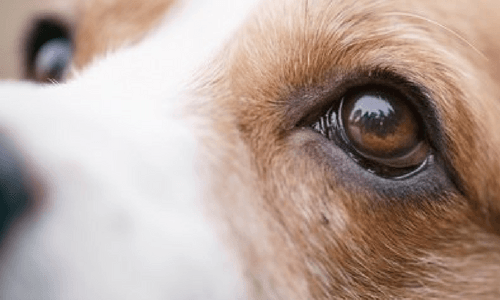 If your dog’s eyes have not become cloudy because of cataracts, then the other conditions given above could be the causes of cloudy eyes in dogs. We believe that you now have enough knowledge concerning why your dog could be having cloudy eyes. Do all the best you can to keep your dog’s eyes healthy. About the Author: Rosie is a founder of ChummyDoggy, where she shares love and tips & tricks that will help you become a better "dog-mom". She also has a dog, here name is Lola.